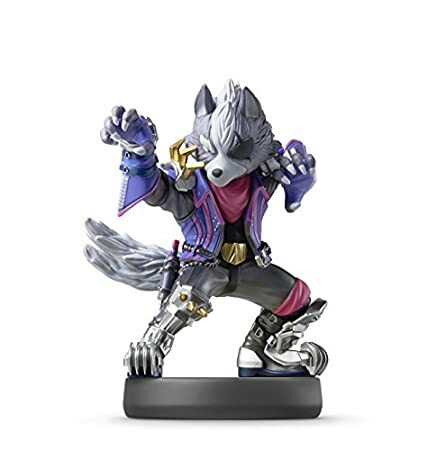 ﻿ Nintendo Amiibo – WOLF – Super Smash Bros. Series – Nintendo Switch | Your #1 Source for Video Games, Consoles & Accessories! Wolf used to fight in andross's army, tangling with star Fox in battle after battle. After andross's exile, he went his own way and formed a mercenary team called star Wolf. He and his Eternal rival, Fox, have even fought on the same side from time to time…but inevitably, they always meet again as enemies. Get cool in-game extras with amiibo accessories and compatible games. Just tap an amiibo accessory to the nfc touch point on a compatible system to enjoy fun in-game extra features in compatible games on the Nintendo Switch system, new Nintendo 2DS XL system, new Nintendo 3DS XL system and Wii U Console. Games, systems, and amiibo sold separately. 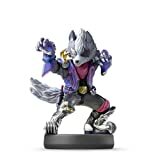 Visit Nintendo.Com/amiibo for details on amiibo functionality.